Someone has been skimming off the cream from the bank account of the Poniente firefighter fund, and has pinched over €200,000 over the last five years, according to an investigation made public today. No names have been named, although it seems obvious it was someone with access to the online banking. The investigation came to light after a new administrator spotted some “irregularities” and asked for an independent judicial audit to be carried out. The case has now been handed over the Fiscal Police and a Judge for a full investigation. 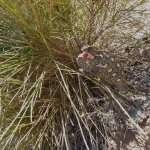 This entry was posted in Blog and tagged corruption, el ejido, fire fighter, poniente by David. Bookmark the permalink.